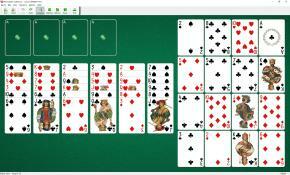 Arizona Solitaire uses 52 cards. You have 6 vertical tableau piles with 6 cards per pile, all face up. You also have 16 open cards to the right of the vertical piles - the reserve. Any Aces from the top of the tableau piles and from the reserve are placed to the foundations. All top cards of tableau piles and all reserve cards are available to play. You can move cards from one tableau pile to another one and from the reserve pile to the tableau pile. The rule is as follows: you should place cards in order of the highest to the lowest, regardless of suit. 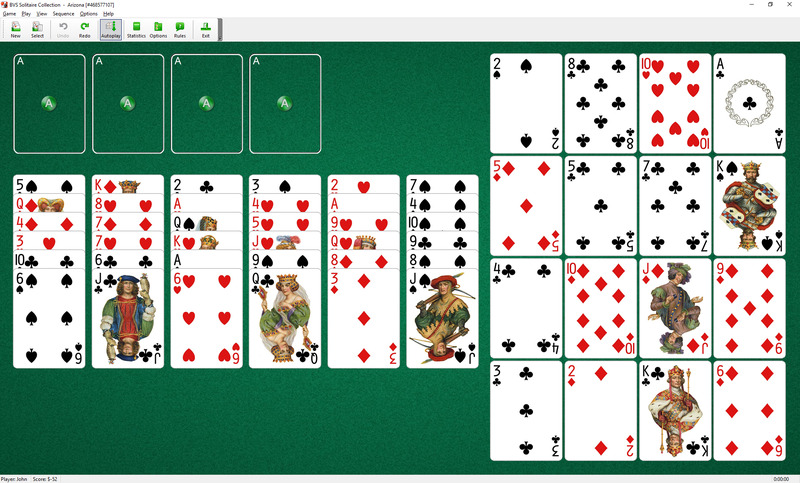 You can move either a single card or a set of cards. When one of the piles is empty you can place there any available single card or set of cards.